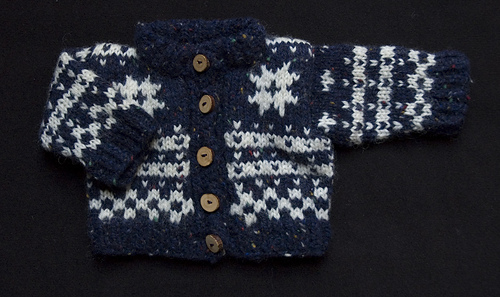 This mini-cardigan is taught in a two-day workshop covering the classic details and traditional construction of the Norwegian Fana Cardigan. 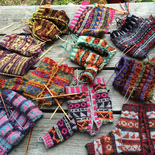 Techniques learned include a circularly knitted body and sleeves, square and drop shoulder armholes, cut-and-sew armholes and front, knitted self -facings, buttonbands, and 2-color star, band, and checkerboard patterns. 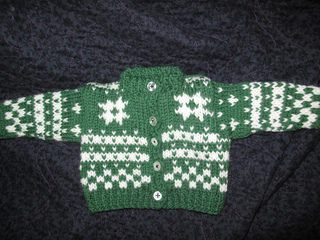 Designing one’s own Fana cardigan will be discussed.